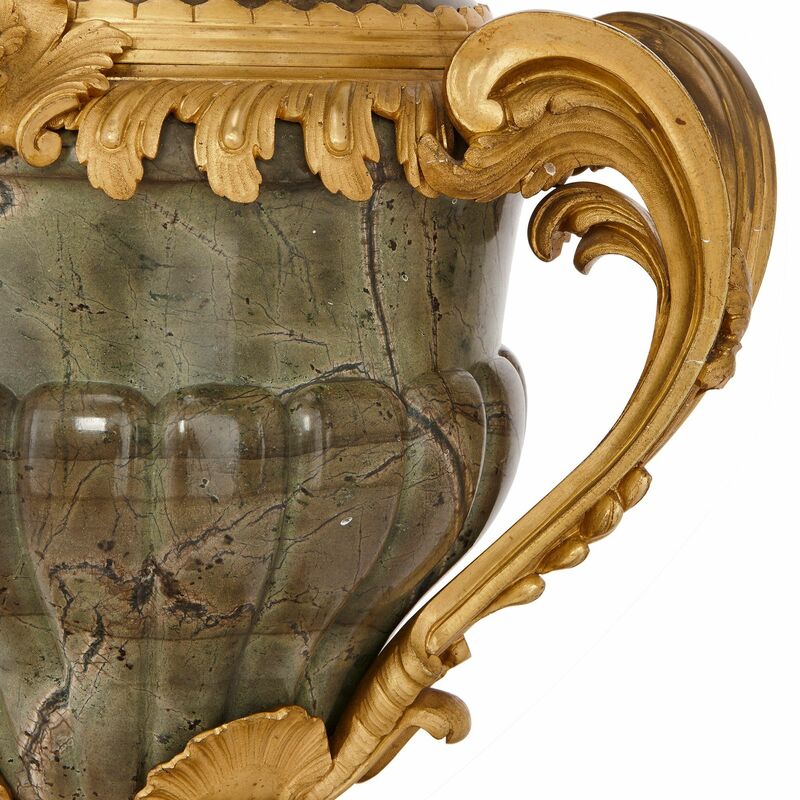 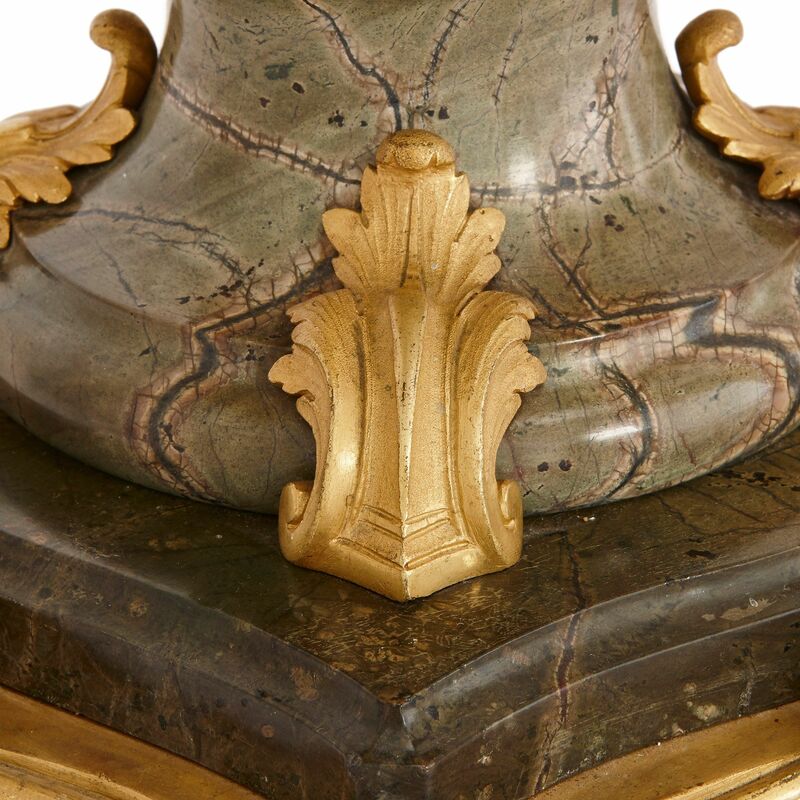 This grand and impressive urn is finely crafted from a rich, and beautifully veined, green marble, which sumptuously contrasts against the gold coloured mounts. 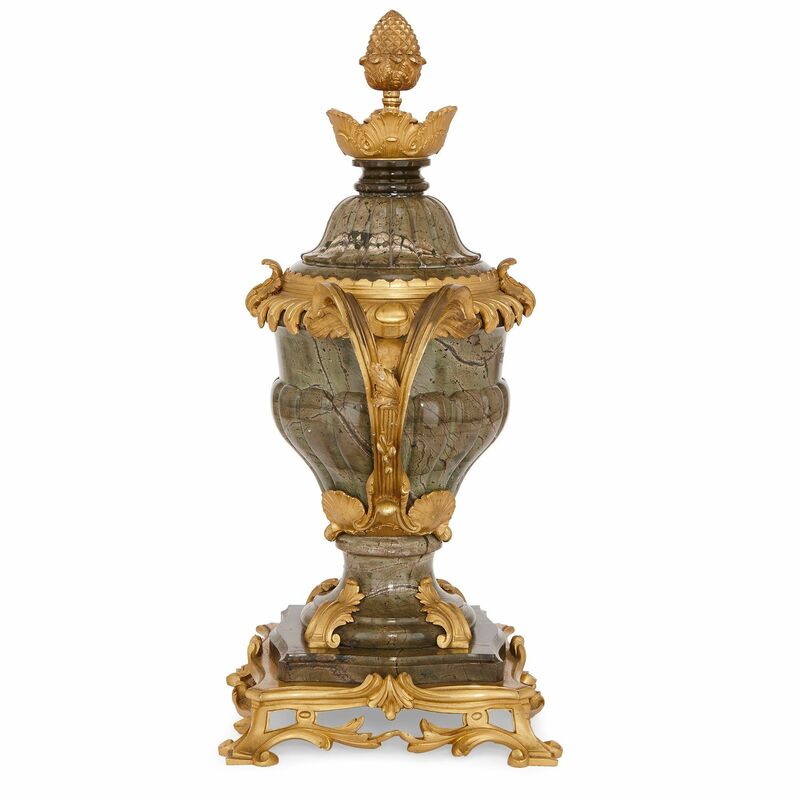 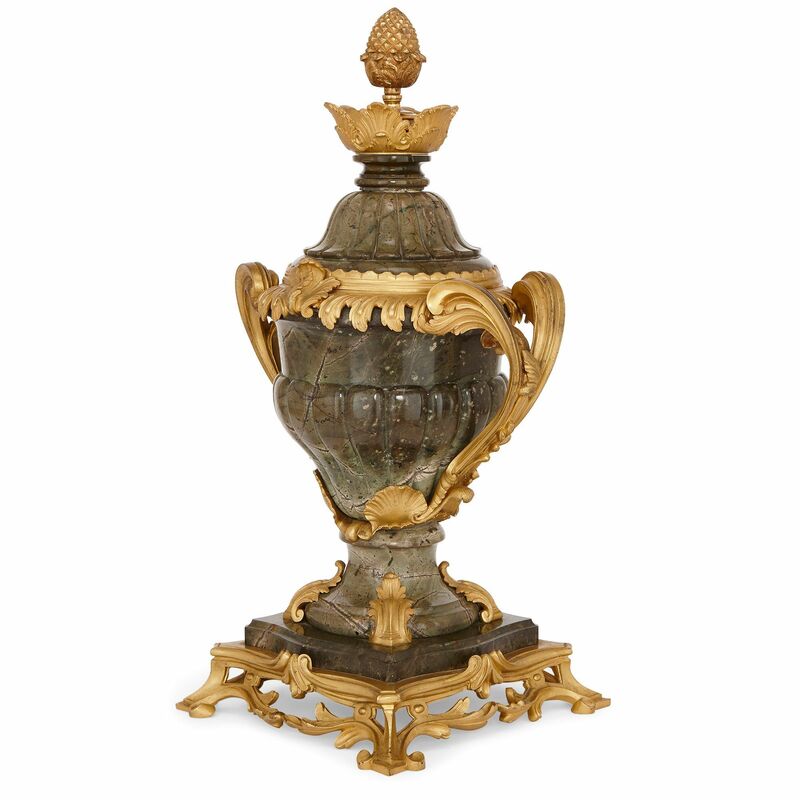 The body of the urn is made from carved veined green marble, and is set on a square shaped scrolling gilt bronze base. 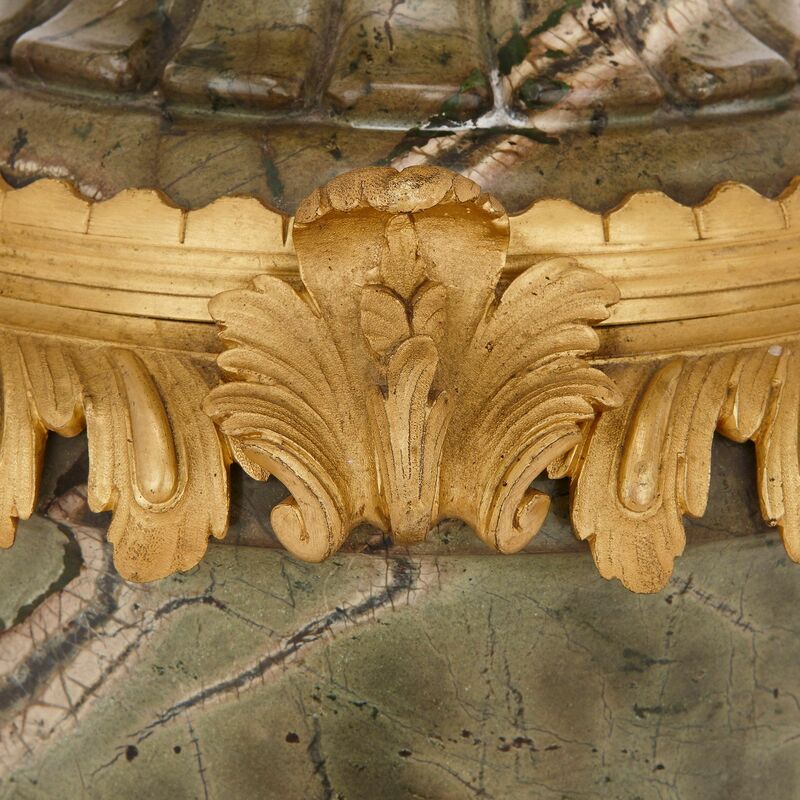 There are several further gilt bronze mounts on the piece, including twin scrolling handles which are decorated with shell and acanthus leaf motifs. 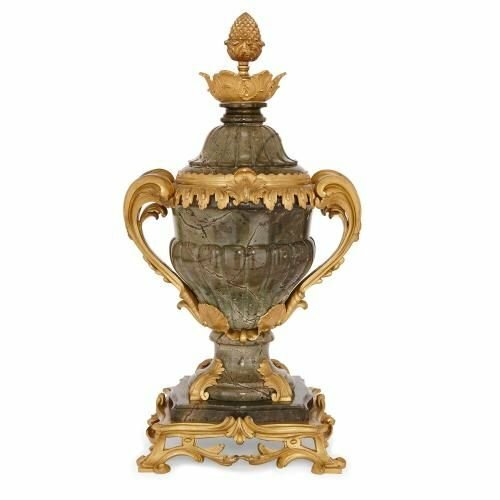 The handles are joined around the rim of the urn by a gilt bronze band of shell and acanthus leaf decorations, in the Rococo style. 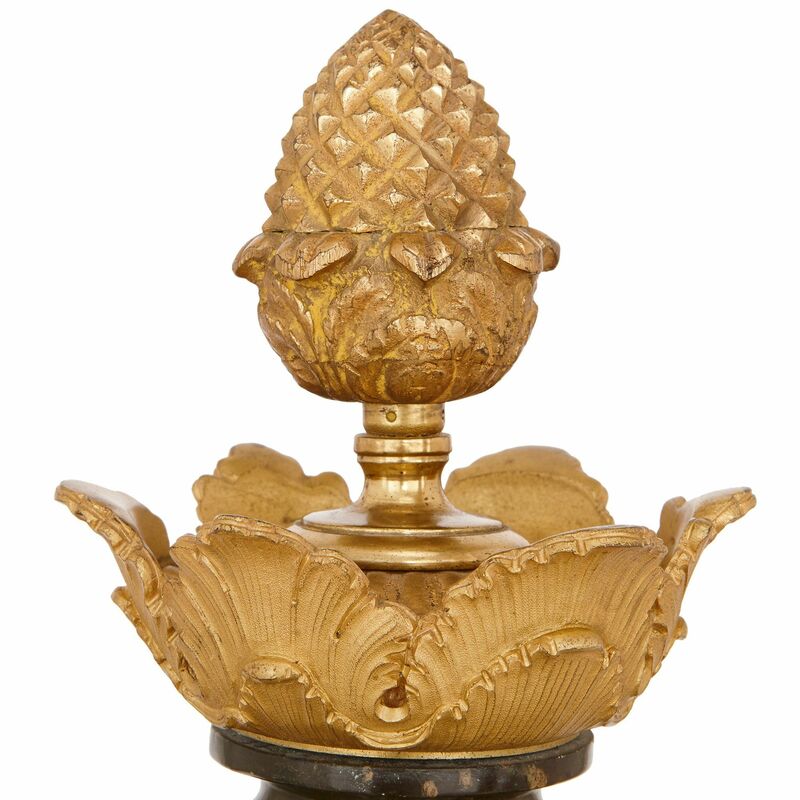 The urn is surmounted with a lid which terminates with gilt bronze shell decorations and a pinecone finial.